About Patricia McPherson. 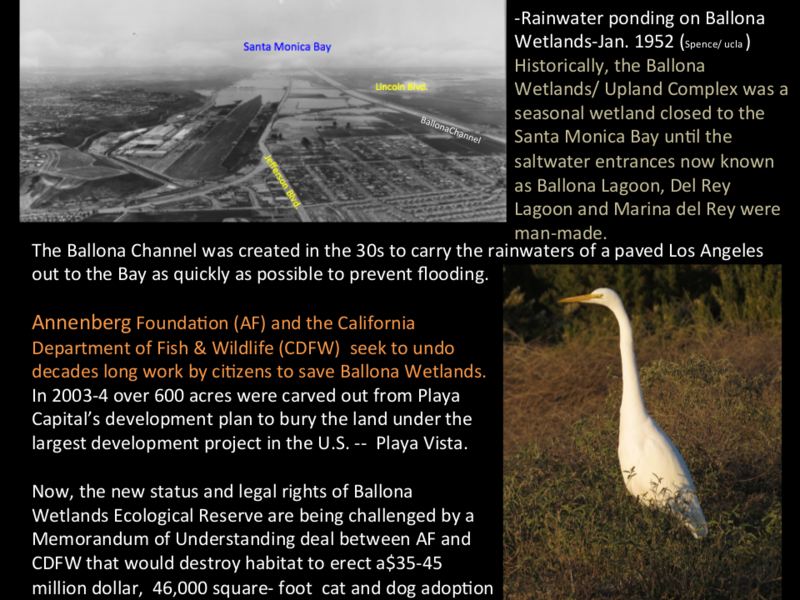 In 1989 Patrica started the Wetlands Committee for Sierra Club, Los Angeles Chapter. 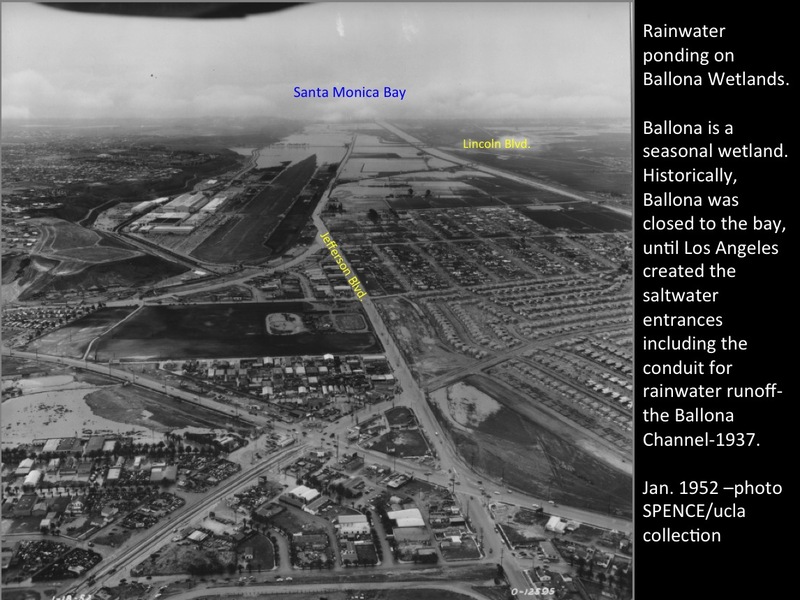 It focused on acquisition and preservation of the Ballona Wetlands. (In 2003-4 the wetlands were successfully purchased with public funding.) In 1993 she founded Grassroots Coalition (GR). 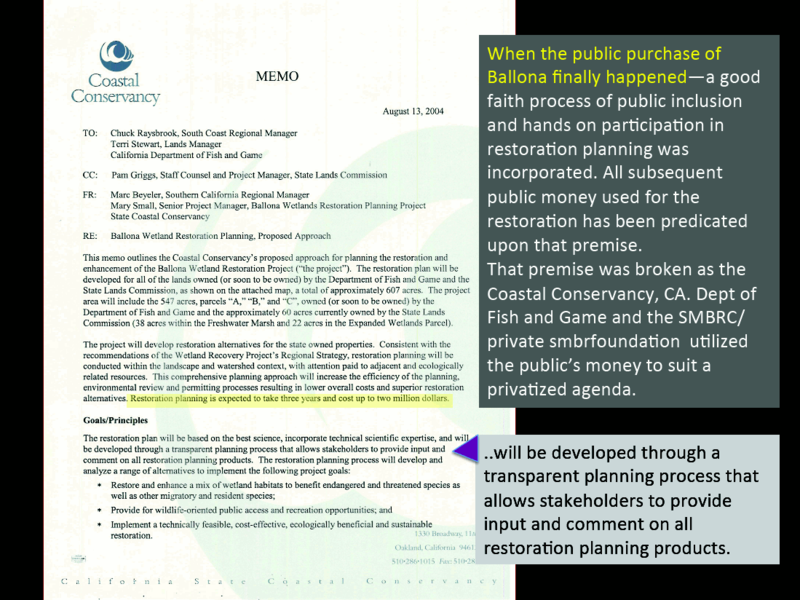 Currently she is leading the fight for full-disclosure of the issues surrounding overdevelopment of Marina del Rey, enforcement of LA City methane ordinances, and urging wildlife friendly restoration of the Ballona Wetlands Ecological Reserve adjacent to Marina del Rey’s small boat harbor. 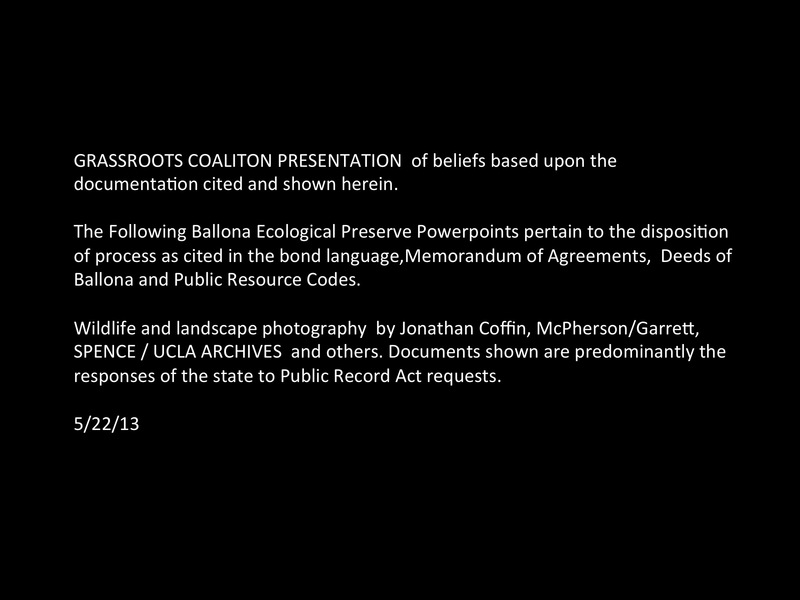 ​Patricia McPherson's SEVEN POWER POINT PRESENTATIONS are a comprehensive introduction to Water. 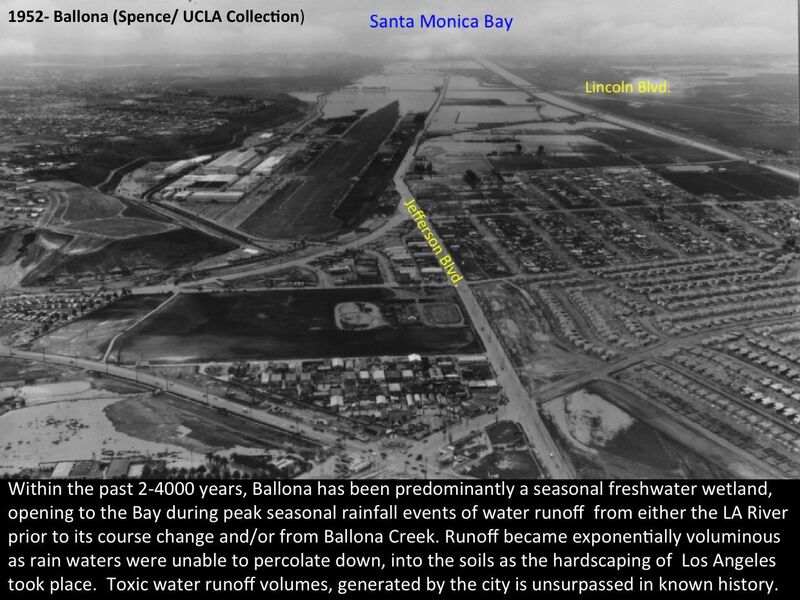 It helps put into perspective just how important the primarily Freshwater Seasonal Ballona Wetlands are to our ecosystem. 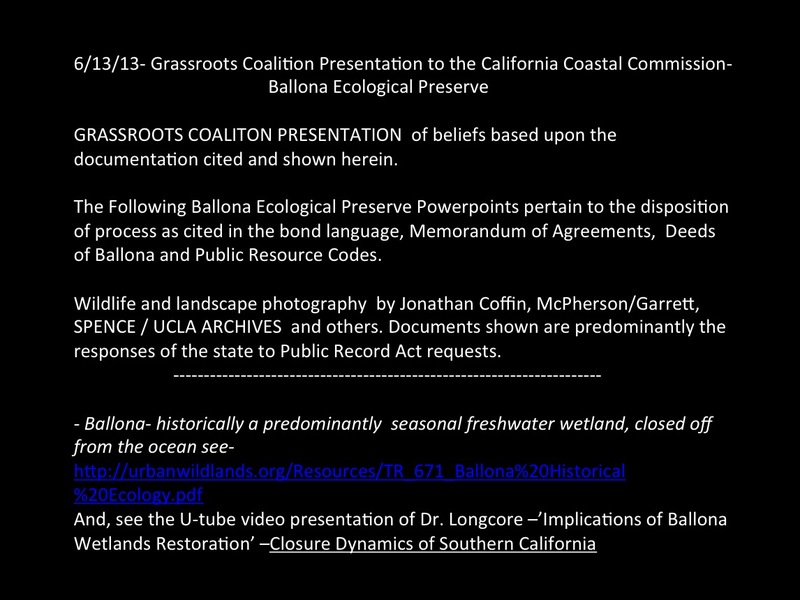 Ballona Wetlands - We Are Missing Public Participation in the Proposed Restoration. Activist want it redone with Public Participation in 2016.